David Powers King: IWSG: FantasyCon, Efficy and Remake Cover Reveals, Woven Release Date, and My Busiest Summer Ever! 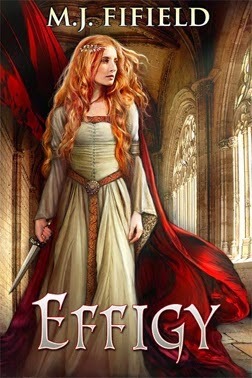 IWSG: FantasyCon, Efficy and Remake Cover Reveals, Woven Release Date, and My Busiest Summer Ever! I have more awesome things to mention than insecurities, so I'll get right to it. BELOW is happening. THIS weekend. And I'm GOING! Not only am I going, I was invited to moderate a few panels as well. Plus my good buddy and co-author Michael Jensen will be there, too. This is going to be a big deal, the first fantasy convention of its kind to ever hit Salt Lake City. It's an honor to help with the launch. With that said, I've never moderated at this level before. That's where the Insecurity comes in. Well. Wish me luck, guys. I'm gonna need it! I'll do a quick post with lots of pictures when the dragon sleeps. Two of my awesome author friends have some exciting news to share! M.J. Fifield and Ilima Todd both released their cover reveals. And wow, they're gorgeous! I really look forward to reading these! 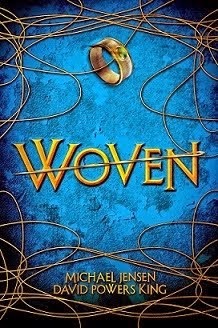 Some of you know this, but we have a release date for WOVEN! The long-awaited epic will be available on January 27th, 2015! There might be a cover reveal happening soon. If you'd like to help spread the word, email me at dpowersking[at]gmail[dot]com. I'll hook you up with the details when I get them. Guys, you've all been so patient. I thank you. I have a feeling the wait will be worth it! And I may have news about The Undead Road soon. Stay tuned! Got to run. Lots of miles to chart. In case I don't see you, have a most enjoyable (and safe) 4th of July. See you next week! Are you going to FantasyCon? What questions should I ask the panelists? Are you excited for M.J. and Ilima's book? My book? 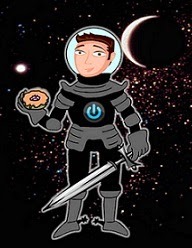 I'm David, and FantasyCon is here--come join the adventure! Rock the panels this weekend!! You know I'll help with your release. And saw that Ilima's book was on the cover of Publishers Weekly. That's epic. Wow you're really busy these days. You are too busy to be insecure! Have fun, you won't need the luck. You will rock this. Wow, thanks David! You'll do great this weekend...I know it. 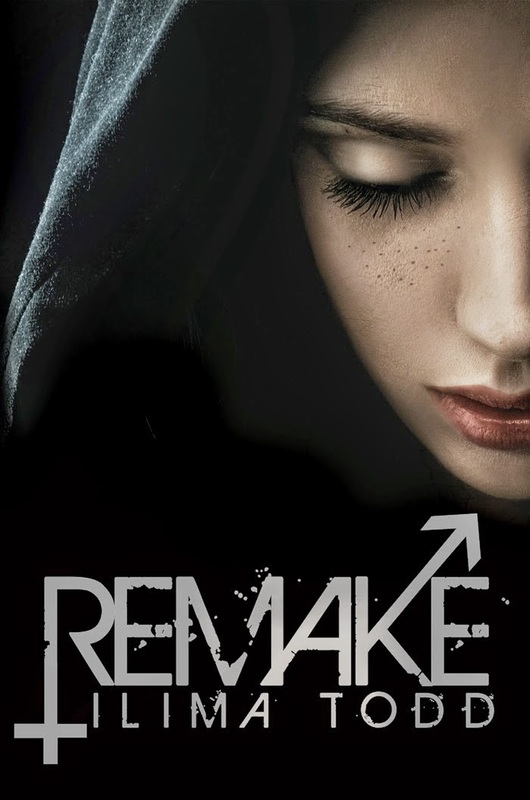 I'm so excited for your release date and to see the cover. 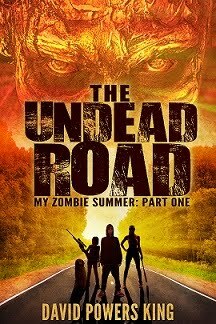 And news about The Undead Road?? I can't wait. Have fun at the panels! You'll do great! Great news! I'm sure you'll have a blast, and I'm so happy and excited for you both. Can't wait to hear how it went. You have a release date - wonderful! Have fun at Fantasy Con. I wish I could go to a Con. Pretty much any Con. Have fun -- I'm sure that will be easy to do! And I'm looking forward to sharing January 27 as a Book Birthday with you! I want to go to a Con'! Have fun at Fantasy Con!!!! I do love both of their covers. They're just stunning! Learning new things all the time! I never knew there was a Fantasy Con. I live such a sheltered life. Enjoy. It should be fantastic. Keeping busy getting stuff done! Good for you! Have fun at the con! And I can't wait for MJ's book to come out. It looks great. I hope WOVEN will join them soon. Hope you have lots of fun. That's a really impressive schedule - I think I'd be terrified into over-preparing if I was to do just one! You are a busy busy busy guy. Have fun at Fantasy Con and congrats on the Woven news. I think that when it rains, it pours. At least it is pouring all sorts of good stuff on you. I'm completely envious. I would love to go to a con. Somewhere in my future I hope. DPK - I suggested you get used to the high-levels of everything! I have a feeling that's where you belong! I know you'll rock those panels. Don't stress and have fun! I know you'll kick tail at the Convention.. but here's a 'Good Luck' and a preemptive 'Atta Boy' for when it's all done. Can't wait for a year from now when I should be back in the SLC area and can start attending some of these Conventions that I've missed the past couple of years. Hope you have a fantastic time at the conference. I know your panels will be great. I am SO excited for MJ's book! Her cover turned out amazing!! When you get back... Just wanted to let you know that I dedicated something to you on the HERE'S TO YOU post. Great things are happening for you. Well done!